BLOOMINGTON, Ind. -- Indiana University is marking the 40th anniversary of its Polish Studies Center with a lecture by Agnieszka Graff, an internationally renowned public intellectual and gender studies scholar and a leading voice of feminism in Poland and elsewhere in eastern Europe. Graff, a scholar at the American Studies Center at the University of Warsaw, will present the Timothy Wiles Memorial Lecture at 4:30 p.m. Thursday, March 23, in the State Room of the Indiana Memorial Union, 900 E. Seventh St. in Bloomington. The title of her talk will be "Ebola From Brussels: The Right-Wing War on 'Gender Ideology' in Poland and Beyond." Her talk is free and open to the public. IU helped establish the American Studies Center in Warsaw in 1976 and the Polish Studies Center at IU Bloomington a year later. This led to IU establishing academic programs with the University of Warsaw and Jagiellonian University at a time when such formal exchanges between the two nations were rare due to the Cold War. "To host a scholar and activist of Agnieszka Graff's stature at IU can be seen as the crystallization of a process put in motion 40 years ago," said Joanna Niżyńska, director of the Polish Studies Center and an associate professor of Slavic and East European languages and cultures. "The leaders of this university had a creative and bold vision when they co-founded the American Studies Center in Warsaw and the Polish Studies Center at IU. They were really at the avant-garde of global connections. Agnieszka's visit celebrates 40 years of shared history," she added. Polish scholars felt isolated from the rest of the world in the 1970s and 1980s, and IU's connection with the American Studies Center in Warsaw was unique. The center's library served as the only open-access library east of Berlin. Many who used the center and visited IU graduated to major roles in academia, government and public policy, both before and after the fall of communism in 1989. In May 2016, IU President Michael A. McRobbie visited Poland, where he renewed IU's agreement with the University of Warsaw and established the Krzysztof Michałek Memorial Lecture in American Studies, an equivalent of the Wiles Memorial Lecture at IU. The Polish Studies Center is based in the IU School of Global and International Studies. A graduate of Oxford University and Amherst College, Graff co-founded Agreement March 8 Women, which organizes annual marches across Poland focusing on issues relating to gender equality. She was a member of the Precedent Cases Programme board at the International Helsinki Federation for Human Rights. Her first book, "The World Without Women" (2001), explored the process that led to the exclusion of female voices from the public sphere in Poland during the emerging liberal democracy at the end of the Cold War. She argued that the feminist movement there lost the "fight for language" because it was symbolically identified with Polish People's Republic, which governed the country from 1945 to 1989. Her next book, "Ricochet" (2008), examined a connection between Polish nationalism and the cultural construction of gender. It documents the process by which women and the LGBT community became "hostages" of the dispute about Polish identity and explored the relationship between homophobia and anti-Semitism. 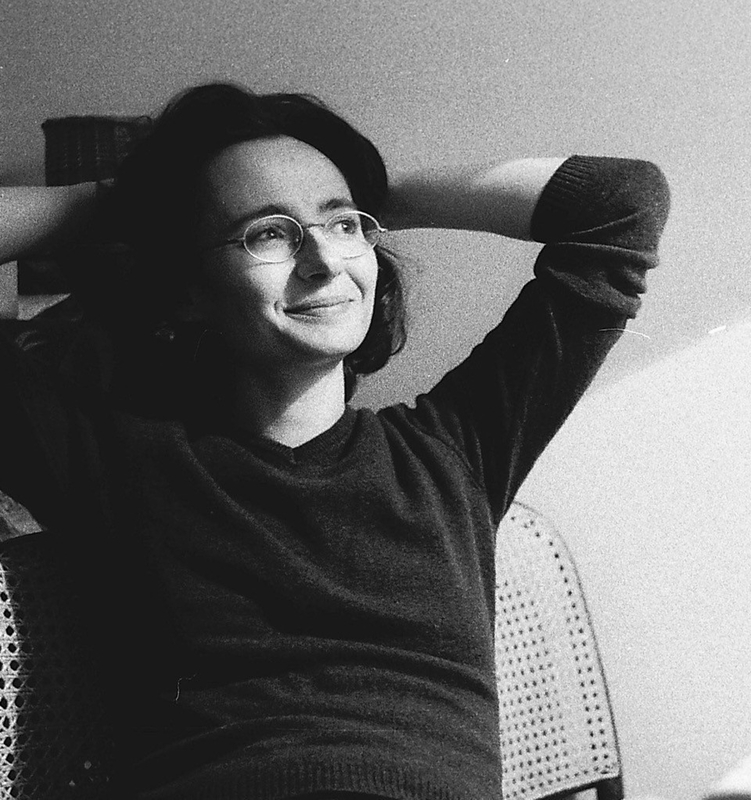 She frequently writes for the Polish newspaper Gazeta Wyborcza, the journal Literatura na Świecie ("Literature in the World") and the feminist magazine Zadra ("The Thorn").